Since its adoption in 1981, the R&D tax credit has been a significant tool to promote domestic innovation and maximize the bottom line of companies across a wide spectrum of industries. Over the past 30 years, the credit has evolved constantly through legislation and treasury regulations which have developed into 3 pronouced phases, Adoption, Redefinition, and Examination. Our expertise and understanding of the history of the R&D tax credit allow us a better approach and refined process in order to capture the maximum savings and required documentation for your company. The Economic Recovery Act of 1981 originally established the R&D tax credit for companies developing new products and processes. An important aspect of the new legislation was the "Discovery Test." The taxpayer had to prove sufficient innovation by IRS standards. Broadly, it required "revolutionary" research activities "to obtain knowledge that exceeds, expands or refines the common knowledge of skilled professionals in a particular field of science or engineering." 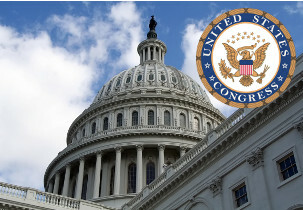 The Economic Recovery Tax Act of 1981 Originally adopted the federal R&D tax credit. Effective 7/1/81 through 12/31/85. The Tax Reform Act of 1986 Extended the R&D tax credit, effective through 12/31/88. Revenue Act of 1988 Extended the R&D tax credit, effective through 12/31/89. Act of 1989 Extended the R&D tax credit, effective through 12/31/90. The Revenue Reconciliation Act of 1989 Clarified that research expenses are deductible under section 174 only to the extent that they are reasonable under the circumstances. Act of 1990 Extended the R&D tax credit, effective through 12/31/91. The Tax Extension Act of 1991 Extended the R&D tax credit, effective through 6/30/92. After two failed bills to extened the credit were vetoed by the President, the credit expired 6/30/92. Act of 1993 Retroactively extended the R&D tax credit, effective 7/1/92 through 6/30/95. Once again, Congress failed to extend the R&D tax credit which expired 6/30/95. Act of 1996 Retroactively extended the R&D tax credit, effective 7/1/96 through 5/31/97, leaving a 1 year gap in the R&D tax credit. The Taxpayer Relief Act of 1997 After another expiration, retroactively extended the R&D tax credit effective, 6/1/97 through 6/30/98. Act of 1998 Extended the R&D tax credit, effective through 6/30/99. Work Incentives Improvement Act of 1999 Retroactively extended the R&D tax credit, effective 7/1/99 through 6/30/04. Download a PDF summary of the R&D tax credit legislation timeline for your convenience. Starting in 2001, despite little change in the legislation, the R&D tax credit went through a dramatic redefinition and expansion period as a result of multiple Treasury Decisions and regulations. The primary modifications made the R&D tax credit, "available where the technological advance sought is evolutionary, where the taxpayer is not the first to achieve the advance, or where the taxpayer fails to achieve the intended advance." This shift effectively made the Discovery test optional ; research and development no longer had to be revolutionary or "New to the World" greatly expanding the industries and companies that could qualify for the credit. The credit was redefined and focused on the R&D of specific business components comprising of: products, processes, software, techniques, formulas and inventions. Any qualifying R&D activities had to pass the "4-Part Test." The Working Families Tax Relief Act of 2004 Extended the R&D tax credit, effective through 12/31/05. The Tax Relief and Health Care Act of 2006 Retroactively extended the R&D tax credit, effective 1/1/06 through 12/31/07. Starting in the mid-to-late 2000's, Congress began to pressure the Treasury Department to close the "Tax Gap". This shortfall, estimated at over $450 billion in 2006, represents the difference in estimated tax liability and actual collected revenue. As a result of this initiative, the Large and Mid-Size Business (LMSB) department of the IRS created the Issue Tiering system, to identify and coordinate action across areas with "the highest compliance risk." The R&D tax credit was designated as a Tier 1 Issue and claims were heavily scrutinized, however, as of August 2012 the issue tiering system has been discontinued. Legislatively, minor changes were made to aid small businesses and the credit has been extended through 2013. The Emergency Economic Stabilization Act of 2008 Retroactively extended the R&D tax credit, effective 1/1/08 through 12/31/09. Reauthorization, and Job Creation Act of 2010 Retroactively extended the R&D tax credit, effective 1/1/10 through 12/31/11. The Small Business Jobs Act of 2010 Eliminated Alternative Minimum Tax (AMT) for manufacturers with less than $50 million in revenue. The American Taxpayer Relief Act of 2012 Retroactively extended the R&D tax credit, effective 1/1/12 through 12/31/13.